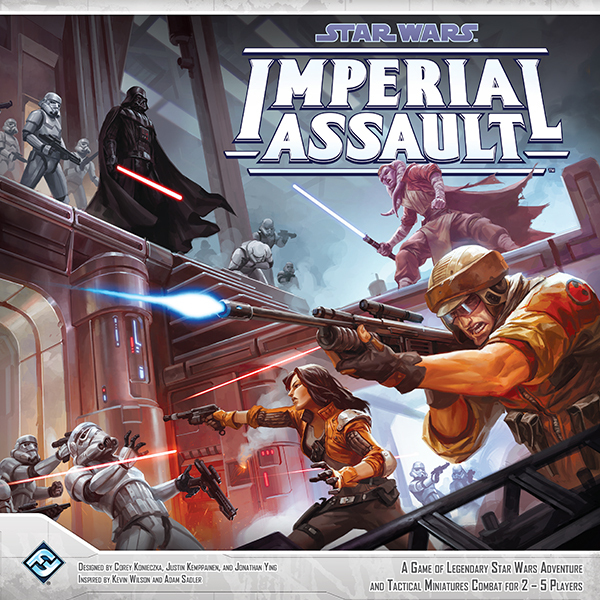 Thursday this week saw a reintroduction to Imperial Assault, as Ryan and I showed Rich the ropes –He took to it like a duck to water! We hastily put together three Skirmish armies – Imperials, Rebels and Scum (sorry, mercenaries). Using the 4-player Hoth board layout, we lazily chose the deployment areas nearest to our seats. 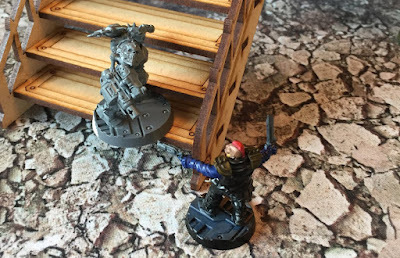 We were concerned that Rich would be piggy in the middle and get battered on both sides, but we needn't have been concerned – he just went gunning for Ryan who realised he'd chosen an awful deployment zone and was boxed in completely. Rich got the honour of using the newly acquired Boba Fett mini for the first time. He was one of the stand out characters of the game, able to inflict a lot of damage and heal himself quite nicely too. The Wampa and Nexu also proved to be intimidating, even if the former was something of a one-hit wonder – Fugs taking it down with prejudice after it scored its first kill. The Nexu on the other hand was having a whale of a time, actively looking to Cleave as many Rebels as he could. The Rebels were gradually losing number under a devastating assault by the Mercs – Fugs just couldn't get out of his deployment zone and ended up retreating to where he started. In the meantime the Imperials, led by the simply awesome Vader, marched slowly from the opposite end of the board. Rich had left a couple of Tusken Raiders to hold a console in his deployment zone, and these were both dispatched by Vader in a single attack. The Mercs were getting low on numbers now, after the Rebels rallied. But just as Fugs thought he could see some light the Imperials arrived, strolling past Boba Fett to take up the fight with the Rebels. Seeing that things were about to go south quickly, Fett took the opportunity the fall back and ensure he would at least survive the game. The Imperials had been nicking the points along the way, finishing off units that were already on the ropes. As such it didn't take long to Vader to claim victory, with the Rebels on around 18 points and the Mercs on a misrepresented 6. 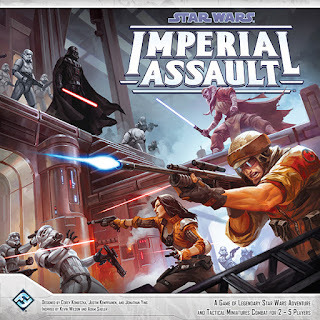 It was a great way back into Imperial Assault, all in preparation for us starting a campaign game next week. Stay tuned! 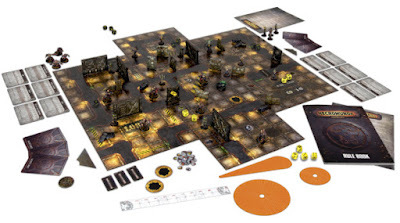 We'd had a week or so to prepare, and now it was time to see how this new edition of Necromunda actually played! Last Monday I had a day off, so Bull and I arranged to have a gaming day. We managed to get three games in as well as the post game bits. 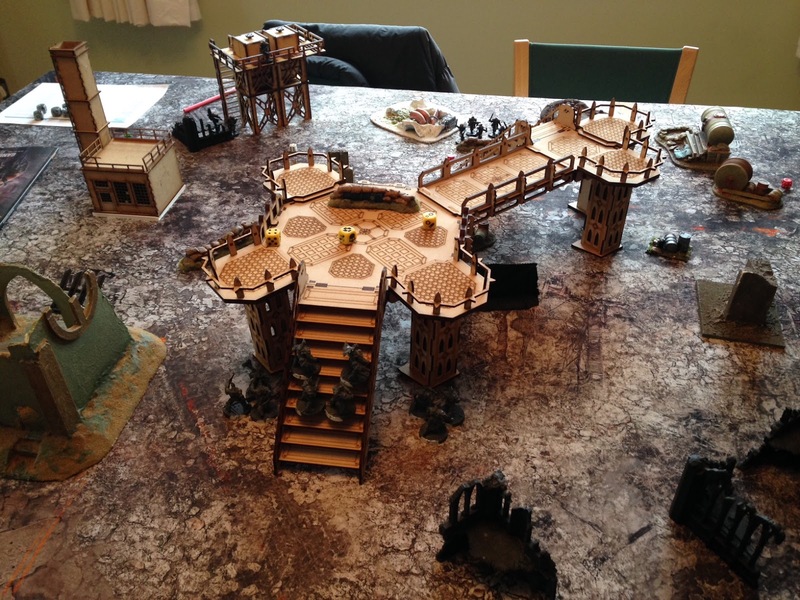 I'd brought my new MDF terrain, and it made a superb centrepiece to the gaming table. Game 1 was a very cagey affair. 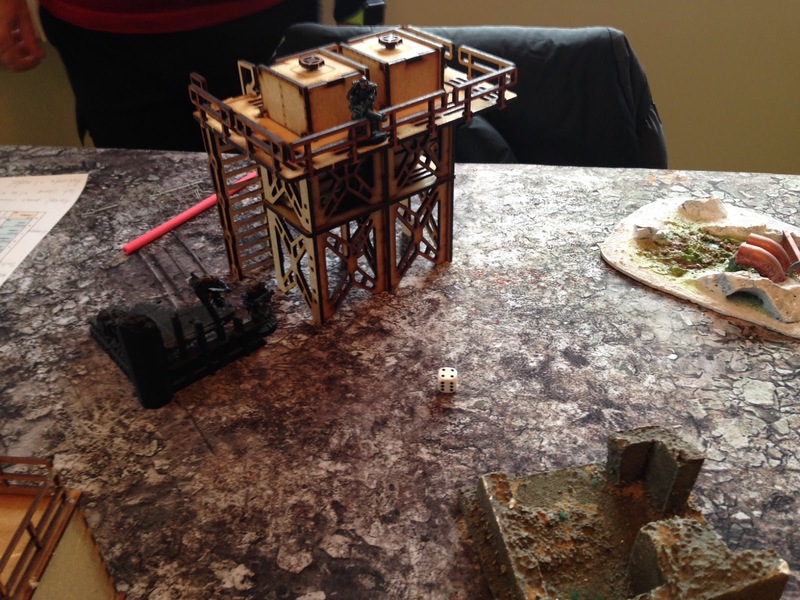 Bull had his heavy on the mdf silo tower which gave him excellent line of sight to pretty much the entire board. My guys were hunched at the bottom of the stairs, preparing for a three-pronged attack (though no idea how that would actually pan out). My two big shooters – Ganger and Boss both with Grenade Launchers – made their way up the stairs to the main platform, flanked by a couple of Gangers in support. My Hammer-wielding Champion went left, supported by a couple of Juves. The remainder went through the middle and to the right. The mission was simple to kill the other guy, without taking too many casualties yourself. I was having the expected day – lots of awesome shooting, knocking guys down, but nothing going through to cause any concern to my opponent. We managed to knock the Orlock Heavy on his backside, right after he ran out of ammo. Then my Grenade boys managed to deck (almost) the entire Orlock gang thanks to blast templates! One of my Juves was hit badly, then hit again and went out of action. Not long later a second dropped. I managed to take out one of Bull's Gangers before the Orlocks pulled out. One of my Juves missed game 2, the other was going to have to see the Doc – but he wanted to charge me more than the Juve was worth, so we let him die and recruit a new Juve!! No mercy!! Game 2 was a "Defile the Relic" mission, but we hadn't got more than a handful of turns in before both Gangs failed bottle tests!! Still, more xp and cash going into the pot. We rolled for game 3 and got Sabotage. The Orlocks would be defending a piece of terrain in the middle of the board and my Goliaths (with their huge bulk and 32mm bases) would be sneaking in to destroy it hoping the sentries didn't detect them. In fairness, despite a lack of any kind of strategy, my boys got quite far in before the Orlock Juve got the fright of his life, walking round a corner to literally fall over the Goliath Boss! 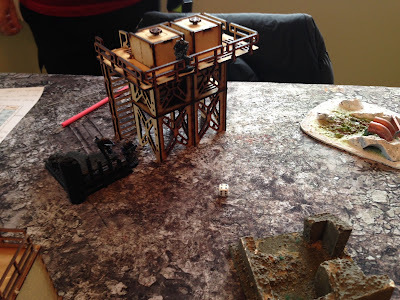 Once the alarm was raised it all kicked off – my boys were trying to shoot the terrain piece, the Orlocks trying to shoot us! Eventually the terrain piece blew and I had to survive the rest of the turn so I could Bottle out and escape. It was a blood bath. No inch was given. It really was a free for all. I was lucky to escape with a couple of casualties, both of whom will miss my next game. Bull also lost a couple, with similar end results. We went our separate ways, after totting up the cash and xp, to contemplate how to spend our winnings. I blew through a lot of cash, upgrading key models. I also managed to get a Move increase for my Boss and a Toughness increase for one of my Gangers. I have no doubt Bull has done the same, so the next game will be ramped up to a new level. …as we prepare for round 2!! 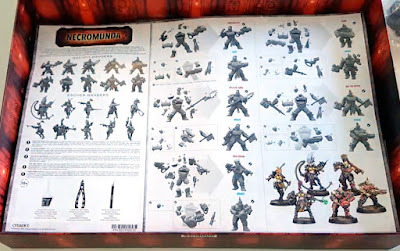 When it was announced that GW were re-releasing Necromunda, Bull and I were very excited. We had played a campaign many years ago, Bull having played several in the past with many fond memories. The release of (essentially) a board game version came as a bit of a surprise and disappointment. Necromunda is all about the 3d environment, that's one of the core aspects to the game, along with the campaign and character progression. Imagine my surprise then when it turns out there is no campaign in the main rulebook! I had no interest in getting invested in this new version, until Bull presented me with the boxed game as a Christmas present. I went out the following week and bought the Gang Wars supplement (another £20 for the campaign and 3d environment rules!). 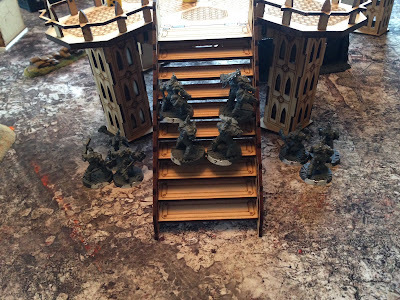 I had a read though the books but, in true GW style, the rules were overcomplicated, leaning heavily on random elements and the layout and order of the information within the books made no sense – user experience is a thing now! People like myself get employed to make UX as smooth as possible. Of course there were the obligatory typos and lack of proof reading expected in GW publications. My friends at Anvil Eight Games take such care and attention to ensure the wording in their books is as clean and easy to read as possible, it's proofread to death and still hits deadline – GW has much bigger resources yet seem not to care for such things. Frustrates me beyond belief. Nevertheless, Bull and I got a date in the diary to have a go, but we needed some seriously 3d terrain. In the same week I 'discovered' Red Beam Designs. 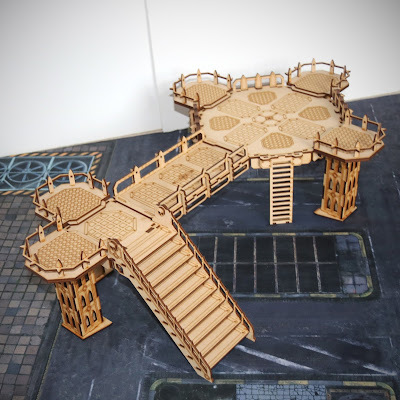 They had some of their hive style mdf terrain on offer and I couldn't resist. When the parcel arrived I was overwhelmed by the mass of mdf pieces and it took me three evenings to get through it and create my pieces of scenery. I then added the magnets that were part of the package and… it was beautiful. A very well designed piece of kit, that could be broken down into smaller chunks and rearranged as I wanted thanks to the magnets. I was blown away – storage will not be an issue. Alas, I read not 24hrs later that Red Beam is closing down, which is devastating. Their kit has been so well thought through and the end result is awesome. Shame. Alongside the terrain building, I had list building to complete. 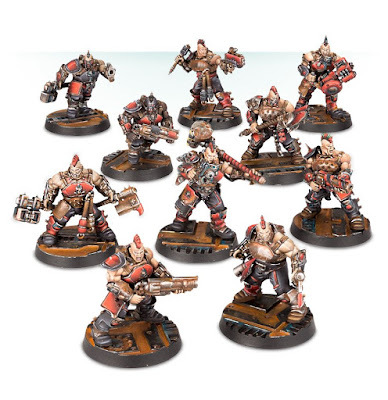 The gangs now are much more characterful, which means I am very restricted on what weapons I could take for my Goliaths. To add insult to injury, having completed my list I discover that the sprues don't have a very good weapon selection. I had to tweak my list to fit what was available on the sprues (which is actually two of the same sprue). I had only 1 – ONE – stub pistol available, with a very odd arm angle, and no – NONE – fighting knives. 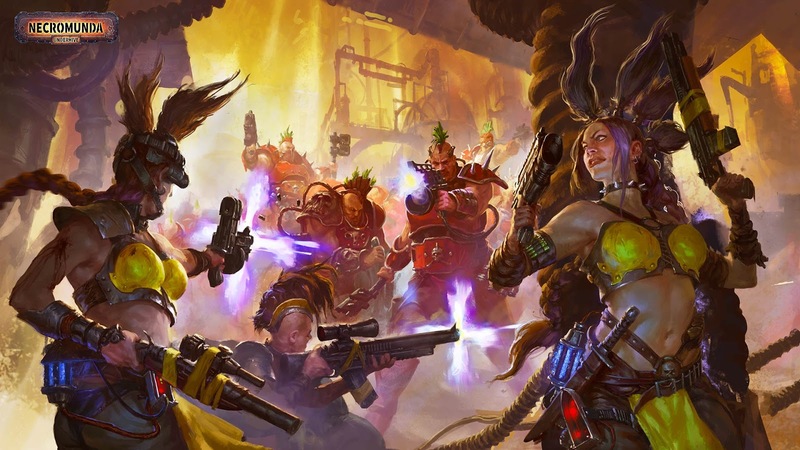 Bull had a similar experience with his plastic Orlocks – they weren't created for campaign players at all. Given that weapon swaps and upgrades are part of the game, it wouldn't have taken much to create a set of plastics that could swap out weapons easily – not here, if you're not building the models on the front of the box you're going to struggle. Plus there's no visible variations between Leader, Champions, Gangers and Juves – they all look the same. I managed to get a crew together that I was reasonably happy with. Models built (though not painted – no time!) and I was ready to go. 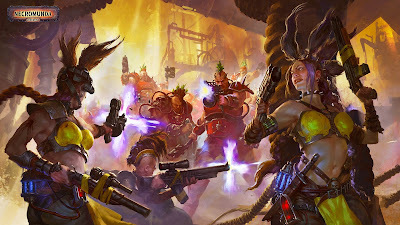 On Monday this week we finally took our first steps into the new look world of Necromunda.